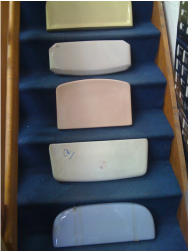 Cistern lids for various sizes and colours of cisterns. Collection preferred but we can arrange delivery by post/courier dependent on the size weight of the item. You can view colours, please view our Discontinued Colour Chart. 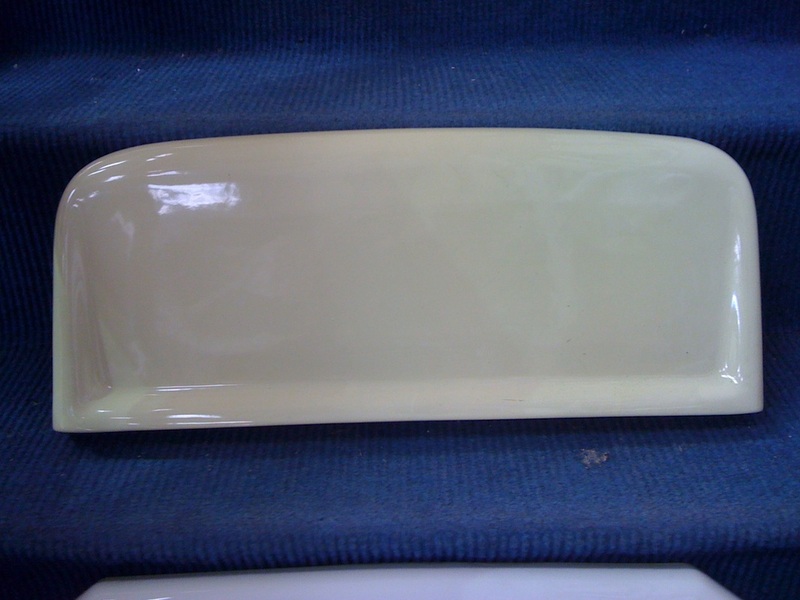 Stock clearance on some cistern lids prices from £19 + postage & packing if required. 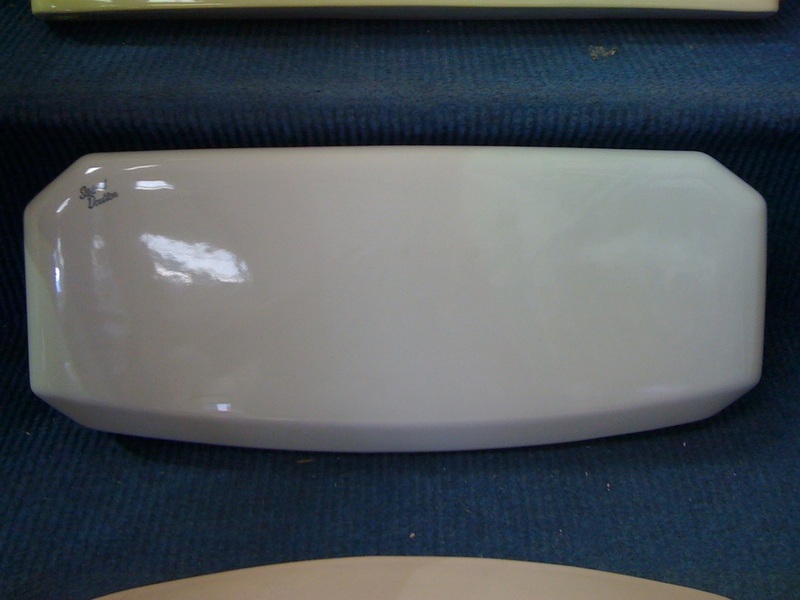 We can offer a range of NEW replacement toilet cistern lids in discontinued bathroom colours to fit WC toilet cisterns produced by major manufacturers, including their discontinued designs of toilets. All our lids are vitreous china. 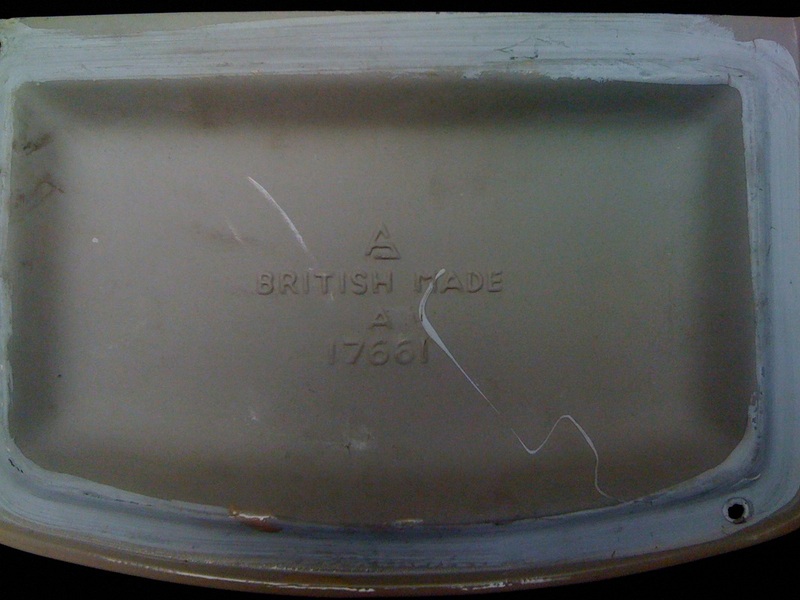 Example of a Sterad Doulton cistern lid. An example of the embossed letters and numbers on the underside of the cistern lid. 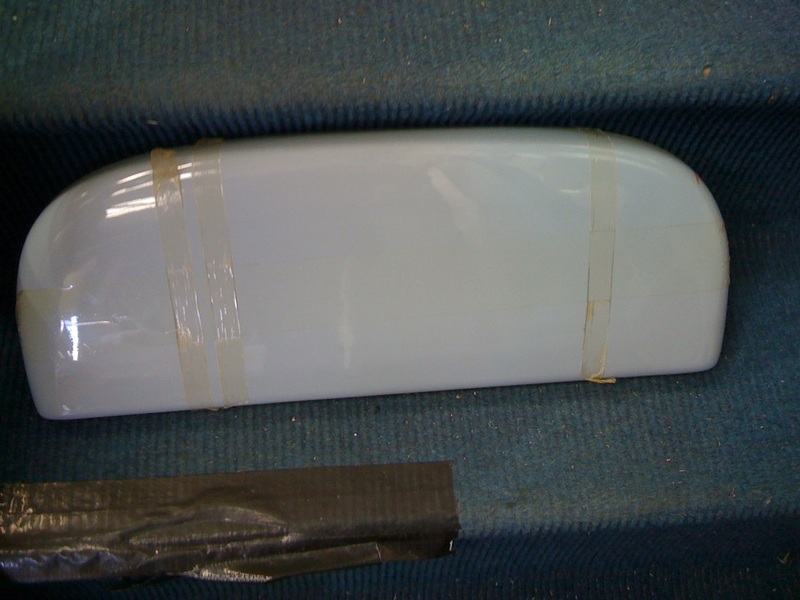 Example of Armitage Shanks cistern lid.